Lil' Wayne and Bruno Mars go together like peanut butter and relish (read: not well). 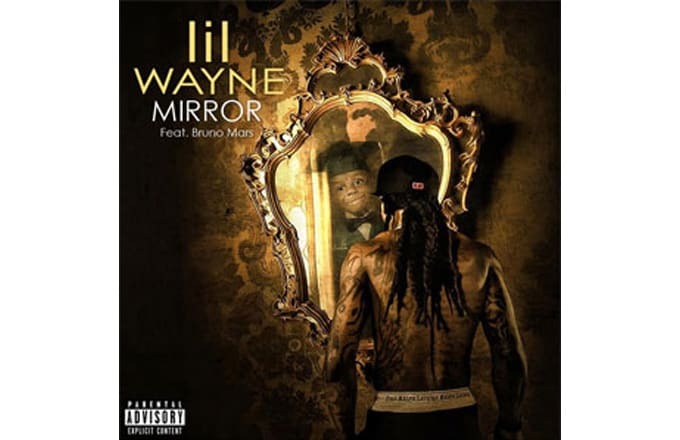 “Mirror” appears on the Deluxe Edition of Wayne's Tha Carter IV. The song was a commercial success, selling over a million singles but the combination of Mars and Wayne sound forced and pieced together. The song focuses on Wayne spitting back at his reflection, questioning past choices and life in general. Cool idea but the lyrics are surface level at best and don't dig into that deeply personal Wayne heard on mixtape cuts like “All By Myself.” At the end of the song, Wayne spits “So I'm starting with the man in the…MJ taught me that.” Too bad MJ wasn't around to teach him a thing or two about effective collaborations as well.